An ultrasound expert with a wealth of experience, Judy Tee took on a new challenge in the Sumatran jungle, where her patients are delivered to the operating theatre by wheelbarrow. She tells Helen Vause about her volunteer work helping to treat endangered orangutans. Judy Tee always thought she’d be a volunteer, somewhere at some time in her life. A few years back, recently widowed with near-grown kids, she was still in full-time work but had more time to add something new to her life. 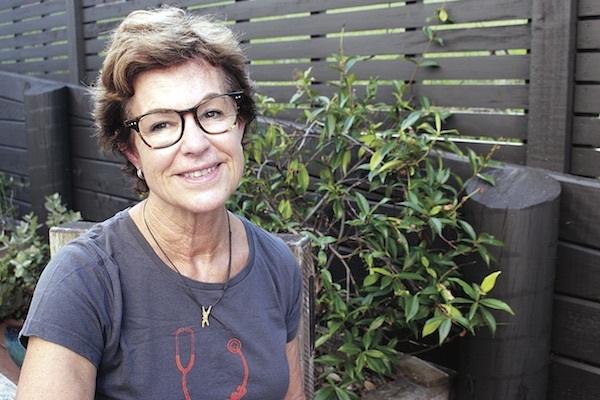 As a sonographer at North Shore Hospital and in private practice, Hauraki resident Tee had already shared her expertise through teaching, and often wondered about using her ultrasound skills in a voluntary capacity. She hadn’t found the opportunity until a social-media post popped up from a contact in the medical-equipment business. He was in Sumatra, in an operating theatre, all scrubbed up with vets who were working on an unconscious orangutan. They were part of the Sumatran Orangutan Conservation Programme. In a heartbeat, Tee decided she wanted to get involved. Some correspondence later, and after a lot of preparation, she was off to northern Sumatra, to teach vets how to operate a portable ultrasound machine. Obviously there were going to be plenty of challenges – working in basic conditions, where there may be little experience of using ultrasound, spoken English might be patchy and the patients would be large, very hairy and often in need of great care. Fortunately, travelling and working in the jungle was not so much an issue for Tee, who has travelled extensively, and to remote places. 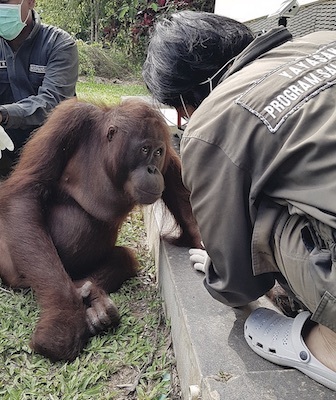 Before she took off on the first of her voluntary trips to work with the communities helping the endangered orangutans, Tee managed to get up close, with her ultrasound machine, to a large orangutan at Auckland zoo. With the support of the primate keepers there, she was able to begin scoping her volunteer project. In the steamy jungle islands of Sumatra and Borneo, vets, local people and volunteers work tirelessly in operations dedicated to orangutan survival. Many of the animals under their watch are sick or injured, or have been orphaned. Deforestation, largely caused by the palm oil industry, has destroyed large areas of their habitat – and the destruction continues. Countless mothers have been slaughtered in front of their babies. Many of the young have fallen victim to the illegal pet business, and been carted off to live in caged and often squalid conditions. As a result of human contact, a lot are afflicted with health issues including diabetes, TB, hepatitis and encephalitis. Other animals have been blinded by gunshots or have machete wounds. Some of the orangutan population will forever remain in care facilities; others are rehabilitated and prepared for release back into the wild. Volunteer Tee’s introduction to the Sumatran orangutans began at a quarantine centre in northern Sumatra, where about 50 live in specially built enclosures. The vets there give each patient a full assessment on arrival, including blood tests, teeth checks, manicure and pedicure, chest x-ray and abdominal ultrasound. Some animals aren’t enough to be taken to release sites into safer habitats, others will have a longer stay for treatment. The babies are given intensive ‘parenting’ and education until they are about eight years old. Tee met her first patient and started introducing the portable ultrasound equipment to vets with limited English and no hands-on experience of scanning. Before they could get to work on their sedated patients, who would arrive by wheelbarrow for anaesthetising, Tee realised their was more basic teaching to be done. The group spent the afternoon scanning each other to learn how to work the machine. Tee’s first orangutan patients were small females. Right away, through the use of ultra- sound, she found one had a hernia to be fixed before release to the wild. Working together in theatre, Tee gave guidance as the vets learned to scan. Conditions in the jungle theatres were basic: she was surprised that everyone was working barefoot and startled both by the appearance of a large centipede on the floor and the subsequent shower of brooms, books and gumboots aimed to chase the unwel- come, deadly interloper away. All in a day’s work, she was to discover! Soon her patients were bigger, weighing in at over 80kg. 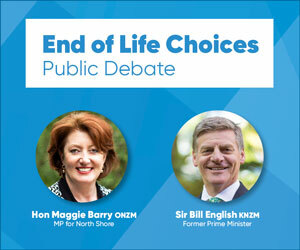 They were males and females with a range of health issues and differing prognoses – much like people. For the limited time the patients could be kept anaesthetised, the portable ultrasound machine was pressed into service by Tee and those learning to use it in their diagnostic routines. Like all who get close to them, Tee is totally enchanted with the orangutans and charmed by the babies she got to work with – and cuddle. The young in the conservation projects are orphans, either found or rescued from the pet trade. Just like a human infant, they typically spend their early years clinging to mum and learning about their world. Without mothers they can’t survive unless others look after them. The orangutan schools for juniors have attracted international media interest as the ‘kids’ on their school day are taught about growing up into the big wide world. They have to learn to climb trees, where they would naturally live as grown-ups in the wild, to make nests, nd food and shelter and to use natural tools that will en- sure their survival once they are out in the jungle. They start at preschool, often in nappies and drinking from bottles, until they’re ready to be taken out to school every day – school being a protected area in the jungle from where the small students are brought back to the safety of home enclosures and a ready dinner at night. At around eight years old, they’re considered ready to graduate and join the others in the release process. Releasing them successfully is heavily reliant on the extraordinary efforts and courage of volunteers, says Tee. She tells of little groups setting out with their sedated charges by night in small canoes and making perilous journeys by water. 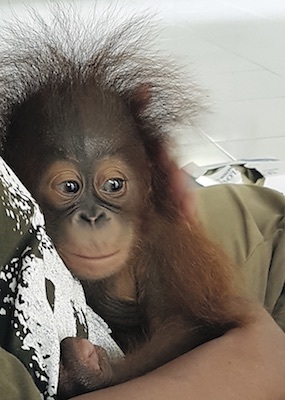 Having the chance to be part of the orangutan projects has been an incredible privilege, says Tee who has now made two, three-week visits to a number of sites in Sumatra and Borneo. She’s expecting to return later this year and hopefully often after that to spread competence in scanning the animals. She estimates she’s left behind her in the jungles around nine people who can now com- petently use ultrasound on the primates to make more accurate diagnoses. “I was certainly well out of my comfort zone but it has been so exciting and so very fulfilling to be part of work like this. She says she was delighted that one of the women she’d been teaching had emailed an image from a scan for Tee’s scrutiny back at home on the North Shore. “I needed more information to make useful comment, but I was so proud of the scan she’d been able to do,” says Tee. Source: Devonport Flagstaff 8 February 2019. View Online.